The SDMPH is dedicated to the promotion and advancement of excellence in disaster medicine and public health across a broad global, multiprofessional membership. The SDMPH will provide members with resources, organizational structure, and the means to sustain interprofessional interaction and discourse related to the discipline of disaster medicine and public health. The mission of the SDMPH is to advance and promote excellence in education, training and research in disaster medicine and public health for all potential health system responders based on sound educational principles, scientific evidence and best clinical and public health practices. Check back soon for current Calls for Papers! The SDMPH welcomes new members and looks forward to a strong and enduring partnership. Members will participate in the creation of policies and programs that work toward global health security before, during, and after disasters. 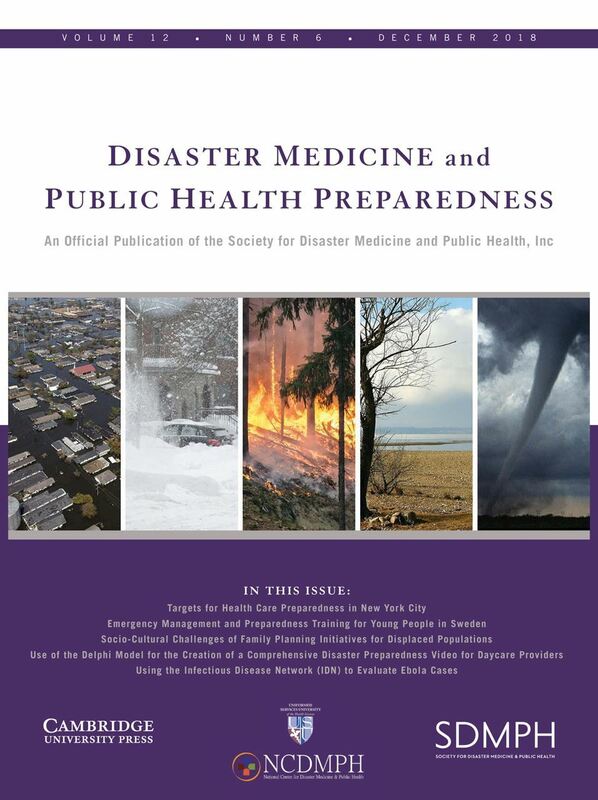 A benefit of membership is a free electronic subscription to Disaster Medicine and Public Health Preparedness (DMPHP), the Society’s official peer-reviewed journal advancing the science and practice of disaster medicine and public health. The Society held its first Annual Meeting in July 2015, a second Annual Meeting in July 2016 at Rockville, Maryland, its 3rd Annual Meeting in Newport News, Virginia September 26-29, 2017, and its most recent meeting October 21-November 1, 2018, in Washington, DC. Join or renew your membership by clicking on the "join us" button below.